With four (counting today) days left in the regular session, Texas lawmakers have a draft budget in place, but still have no way to pay for it all. The 2012-13 spending plan that budget negotiators approved yesterday will go to the full House and Senate for approval tomorrow. Still up in the air, though, is a bill that would change the state’s public school finance system to account for a $4 billion cut to public education. Several potential compromises appeared promising yesterday but fizzled out quickly. Stay tuned. Statewide smoking ban: Because it would save the state Medicaid program more than $31 million over the next two years, a measure that would have prohibited smoking in restaurants, bars, and other public facilities was tacked onto a broad revenue-raising bill last week. Yesterday, House-Senate negotiators on that bill — Senate Bill 1811 by Sen. Robert Duncan (R-Lubbock) — said the smoking ban had been snuffed out. TMA is working with supporters such as Rep. Myra Crownover (R-Lake Dallas) to find a new last-minute way to pass this important public health measure. Women’s health: It looks like the controversial but highly cost-effective program that provides contraception and reproductive health screenings to tens of thousands of low-income women will survive. The program was slated to end this year without legislative action, and bills by Sen. Robert Deuell, MD (R-Greenville), and Rep. Garnet Coleman (D-Houston) didn’t make it through the end-of-session logjam. But yesterday, word leaked out that the final 2012-13 state budget document now includes an amendment that would keep the Women’s Health Program at least somewhat alive for the next two years. Advocates are praising the work of Senators Deuell, Steve Ogden (R-Bryan), and Leticia Van de Putte (D-San Antonio) for this maneuver. The TMA team is working to ensure that good amendments stay in the bill and bad amendments get stripped off. Medicaid savings: Also in conference committee is Senator Nelson’s SB 23, another critical piece of the budget puzzle. The bill would save about $500 million, primarily in Medicaid and the Children’s Health Insurance Program. A few ways it achieves the savings are by expanding Medicaid managed care into the Rio Grande Valley, requiring Medicaid patients to use medicines on a state preferred drug list, and requiring Texans with disabilities to get home health services through Medicaid first. On this bill as well, the TMA team is working to ensure that good amendments stay in and bad amendments get stripped off. The regular session of the legislature must adjourn by midnight Monday. It already appears as if we might have a special session on several issues — school finance, sanctuary cities, congressional redistricting. And who knows whether the budget will make it through in time? Your TMA lobby team — and TMA Legislative News Hotline staff — will work through the holiday weekend to represent you and keep you informed. The physician of the day at the capitol is James R. Brown, MD, of Austin. Dr. Brown has practiced family medicine for 26 years. He graduated The University of Texas Health Science Center at Houston in 1982. Dr. Brown is a member of TMA and the Travis County Medical Society. TMA joined the American Medical Association, 42 state medical associations, and 33 national specialty societies in asking House Speaker John Boehner to support and cosponsor the 'Medicare Patient Empowerment Act' (HR 1700) by U.S. Rep. Tom Price, MD, (R-Ga). Texas Reps. Michael Burgess, MD, Pete Sessions, and Sam Johnson are co-sponsors. Sen. Lisa Murkowski (R-Ak) introduced a similar bill (S. 1042) in the Senate. TMA's Communications Division received three Hermes Creative Awards from the Association of Marketing and Communication Professionals. Hermes Creative Awards is an international competition for creative professionals involved in the concept, writing, and design of traditional and emerging media. 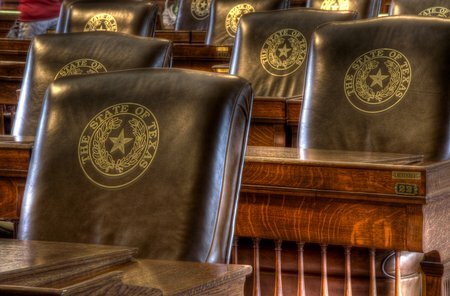 Senate Bill 1661 by Sen. Robert Duncan (R-Lubbock), which will provide clinical protections for thousands of physicians employed in 501(a)s. It ensures physicians are able to retain independent medical judgment in doing what is best for their patients. The measure received approval yesterday by the Texas House. It already has passed the Senate. The bill was sponsored in the House by Rep. Todd Hunter (R-Corpus Christi). SB 761 by Sen. Royce West (D-Dallas) and HB 2854 by Rep. Vicki Truitt (R-Keller), which received approval in the House yesterday. It would allow the Scottish Rite Hospital in Dallas to continue to employ physicians. Throughout its history, the hospital has been employing physicians because of its charitable mission. The physicians at this facility occupy a unique position at the intersection of academia, research, and charity care. Scottish Rite accepted amendments to ensure that the medical staff remains responsible for all aspects of the practice of medicine and have control of all clinical issues. House Bill 2351 by Rep. Ruth Jones McClendon (D-San Antonio), sponsored in the Senate by Sen. Leticia Van de Putte (D-San Antonio), which was passed by the full Senate Tuesday. It would allow the Bexar County Hospital District to employ physicians with protections to meet its statutory mission of providing care to the indigent. The bill resulted from local consensus among the Bexar County Medical Society, the hospital district, and medical schools to develop an employment structure that protects a physician’s clinical autonomy and the patient-physician relationship. The framework of the employment arrangement constitutes a nonprofit health care corporation — a 501(a) — with a physician board of directors to oversee all the clinical issues related to physicians and the care they provide their patients. Texas Medical Board (TMB) reform: TMA has three important bills in the legislative pipeline important for improving the TMB process. These two bills received approval yesterday in the Texas House. Both bills were sponsored in the House by Rep. Susan King (R-Abilene). SB 191 by Sen. Jane Nelson (R-Flower Mound) would bind TMB to the ruling of an administrative law judge in a proceeding supervised by the State Office of Administrative Hearings. TMA will continue to work to ensure these needed reforms are achieved. Graduate medical education: The Senate passed a TMA-backed bill yesterday to examine graduate medical education (GME). House Bill 2908 by Rep. Dan Branch (R-Dallas) requires the Higher Education Coordinating Board to assess the number of GME slots in the state and determine whether this number meets the national standards for the ratio of GME slots to medical student slots, to make sure the state is maximizing its investment in medical education. Earlier in the week the House agreed with Senate changes to HB 1380 by Representative Truitt and Sen. José Rodríquez (D-El Paso). HB 1380 allows international medical graduates (IMGs) in GME programs to apply for licensure in Texas after two years of residency training. The goal of this legislation is to facilitate board certification and retention of residents to practice in Texas. Without this change, IMGs often felt forced to leave Texas after GME for states with a two-year GME requirement to work around a board-exam scheduling problem. Those who remained in Texas typically had to wait at least half a year after residency to sit for their board exams. During the wait, they were unable to qualify for hospital or health plan credentialing and were unable to bill for their services. Insurance reform: HB 438 by Rep. Senfronia Thompson (D-Houston) and Sen. John Carona (R-Dallas) is headed to the governor’s desk for his signature. The legislation would require health plans to cover orally administered anticancer medications at the same level as they provide coverage for other medical or surgical expenses. TMA strongly supported this legislation. Immunizations: Erica Swegler, MD, a Keller family medicine physician and chair of TMA’s Committee on Infectious Diseases, testified in support of SB 1177 Wednesday. The TMA-supported legislation by Senator Nelson and Rep. John Zerwas, MD (R-Simonton), would require health care facilities such as hospitals to develop and implement vaccination policies for employees. Dr. Swegler told House Public Health Committee members that SB 1177 is important because health care workers, especially those who are not immunized against the flu and other preventable diseases, may unknowingly spread these diseases to the patients in their care. Committee members passed the bill. Newborn hearing screening: Alice Gong, MD, a San Antonio neonatal-perinatal specialist and a member of TMA’s Committee on Maternal and Perinatal Health, took the witness stand before the House Public Health Committee. Dr. Gong, a professor of pediatrics at The University of Texas Health Science Center in San Antonio, testified Wednesday in support of SB 229 by Senator Nelson. She told committee members that the legislation would help guarantee that all babies born in Texas have equal access to an important hearing screening. The bill was passed by the committee. Food safety: TMA submitted a letter on the committee substitute for HB 3387 by Rep. Eddie Rodriguez (D-Austin). TMA took a neutral position on the bill Tuesday when it was taken up by the Senate Health and Human Services Committee. HB 3387 would regulate how food is prepared, stored, distributed, or sold at local farmers’ markets. It was left pending. TMA submitted a letter in support of SB 1301 by Sen. Robert Deuell, MD (R-Greenville). The legislation would require that a bitter-tasting substance be added to antifreeze products that contain ethylene glycol. The goal is to deter children from drinking these poisonous products. The bill was passed by the House Public Health Committee Wednesday. Student athletic safety: TMA also submitted written testimony in support of a committee substitute for HB 2038 by Rep. Four Price (R-Amarillo) Tuesday. The bill addresses the prevention, treatment, and management of concussions affecting young athletes participating in interscholastic events. The measure was passed by the Senate Health and Human Services Committee. Health information technology: Matthew Murray MD, a Fort Worth pediatrician and vice chair of TMA’s Health Information Technology Ad Hoc Committee testified before the Senate Health and Human Services Committee. He testified Tuesday in support of a committee substitute for HB 300 by Rep. Lois Kolkhorst (R-Brenham). TMA has worked to achieve numerous changes in the bill so it won’t adversely affect physician practices. The legislation is an attempt to strengthen state privacy law on top of the federal Health Information Portability and Accountability Act (HIPAA). It would ban the sale of personal health information, for direct or indirect remuneration, but allow it for treatment, payment, or health care operations. It also sets up a process for notifying patients of, and obtaining consent for, the electronic transfer of their medical records. Physicians or other health care providers who willfully break the rules or are repeat offenders may be subject to disciplinary action by their licensing agency. The bill was approved by the committee. The only legislative action lawmakers are mandated to do constitutionally is pass a state budget. With only a week left, lawmakers still have a lot of work to accomplish to get this job done by Memorial Day. And it all hinges on what happens today. Three areas of contention between the House and Senate leaders must be decided today to prevent a special session. The first sticking point is how much money from the Rainy Day Fund to use to help balance the state’s current budget. Next, is how much money they want to spend on higher education. The final obstacle is passing Senate bills 1811 and 1581 that raise the money needed to balance the 2012-13 budget. SB 1811 could generate $2.5 billion to $4 billion depending upon what parts of the bill are approved. SB 1581 helps cover public and higher education spending. The Texas House has postponed taking up these bills all week. However, they both are on the House calendar again today. The Texas House did approve SB 23 by Senator Nelson, another critical piece of the budget puzzle. The bill would save about $500 million, primarily in Medicaid and the Children’s Health Insurance Program. A few ways it achieves the savings are by expanding Medicaid managed care into the Rio Grande Valley, requiring Medicaid patients to use medicines on a state preferred drug list, and requiring Texans with disabilities to get home health services through Medicaid first. Nearly 40 amendments were approved. The measure now heads back to the Senate, and the two proposals must then be reconciled. The House and Senate budgets were $4 billion apart on Wednesday. However, they have managed to close that gap, and there is a tenuous agreement. But it’s contingent on the passage of the state fiscal matter bills. Stay tuned. The physician of the day at the capitol is Erica Swegler, MD, of Keller. Dr. Swegler has practiced family medicine for 17 years. She graduated from The University of Health Science Center at Houston in 1983. Dr. Swegler is a member of TMA and the Tarrant County Medical Society. She also chairs TMA’s Committee on Infectious Diseases. TMA Vice President for Advocacy Darren Whitehurst likes to say that the end of a legislative session is like the final crescendo of a great orchestra – either the musicians come together and make beautiful music or the whole thing falls apart. Texas physicians have until June 30 to e-prescribe to avoid penalties in 2012 (1 percent of Medicare Part B claims). If you are not already e-prescribing in your office, act immediately to avoid this penalty. If you are not already on an electronic health record (EHR) with e-prescribing capabilities, you can install a standalone e-prescribing system and still meet the approaching deadline. Physicians can even use a free e-prescribing service to avoid the penalty. On June 1, the Texas Medical Board (TMB) will resume disciplining physicians who do not use the Texas Electronic Registrar (TER) Death Registration system to register patient deaths, TMB Executive Director Mari Robinson, JD, told the TMA Patient-Physician Advocacy Committee at TexMed 2011. The fine is $500. Texas College of Osteopathic Medicine. The chapter continued its efforts to provide community service and educational opportunities for students in 2010. The Class of 2013 logged more than 4,700 hours of service last year, and the Class of 2014 chalked up more than 2,700 hours in only one semester. Student of the Year Kim Hawthorne, The University of Texas Medical School at Houston. She was cited for service and leadership to the chapter. The student nominating her said Ms. Hawthorne "is reliable, effective, and passionate. Her name continues to be raised during discussions about future TMA leaders." Angela Siler-Fisher, MD, FACEP, Houston. Dr. Siler-Fisher, an emergency physician, was honored for being a strong advocate for student involvement in TMA. William W. Hinchey, MD. He received the award for his commitment to organized medicine, his willingness and openness to bringing young physicians up the ranks. PLUS: Last night at the TEXPAC 300 Club reception, Linda Swan Atkins of Houston received the June Bratcher Award for Political Action. Way to go, all!